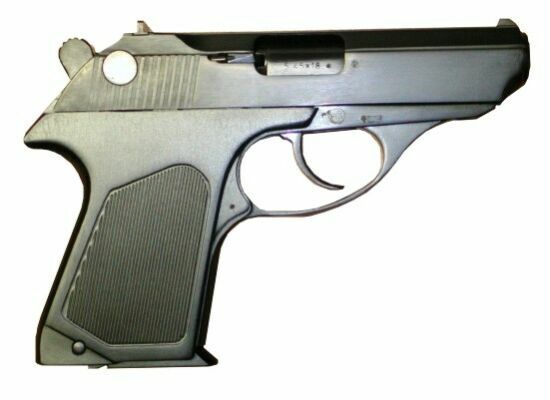 In 1973 the Izhevsk Mechanical Plant began producing the PSM small self-loading pistol developed by a group of Tula designers: Tikhon Lashnev (1919-1988), Anatoly Samarin (1936-1991) and Lev Kulikov (1931). Before designing the PSM pistol in 1969, they had already accumulated rich experience in developing sports and hunting weapons. Conceptually, the PSM is a compact pistol for concealed carrying. The pistol has an external hammer, double action firing mechanism and operates on the blowback principle. The safety catch at the rear of the slide, when engaged, blocks the firing pin and slide and releases the hammer from the sear notch. The firing pin is enclosed in the slide without a spring and protrudes at the rear when a cartridge is loaded.